The post E923: All Turtles Co-founder & CEO Phil Libin (prev. 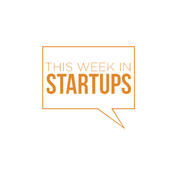 Evernote) launches Sift news therapy to promote understanding over anxiety, shares model for innovation at his AI multi-product startup, insights on failing efficiently, the future of health & work, & what it takes to make a world-class app appeared first on This Week In Startups . The post E922: Scaling Your Startup, “Communication”: Essential tools, tips, and tactics for founders to most effectively communicate with investors, their team, and each other, with Jason Calacanis, LAUNCH President Samantha August & LAUNCH Managing Director Ashley Whitehurst — E2 of 10-ep miniseries appeared first on This Week In Startups . The post E921: Confluent Co-Founder & CEO Jay Kreps shares insights from building his data streaming cloud platform unicorn, new partnership with Google Cloud, learnings as lead engineer at LinkedIn, & the future of innovation in enterprise appeared first on This Week In Startups . The post E920: Rally Rd. Co-Founder & CEO Chris Bruno turns collectible cars into stocks, shares vision of product expansion to make high value assets accessible to everyone & create a new generation of excited, diversified investors appeared first on This Week In Startups . The post E919: Scaling Your Startup, “Funding Your Company”: What startups need to know to raise their rounds right & other tips from an early investor in 200+ startups & 7 unicorns (Uber, Thumbtack, Calm) with Jason Calacanis & LAUNCH Managing Directors Jason Demant & Ashley Whitehurst — E1 of 10-ep miniseries appeared first on This Week In Startups . 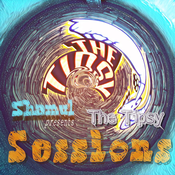 Lyt til This Week In StartUps, Tipsy Sessions og mange andre stationer fra hele verden med app'en radio.dk.